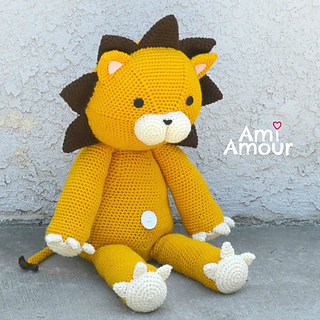 A Giant Kon Lion Amigurumi Plush for some giant crochet fun! 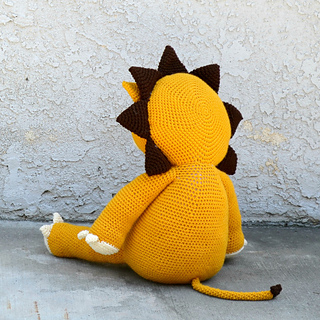 This pattern will help you create a large sized Lion Plush that’s the perfect size for hugging! From head to toe, the doll measures about 32in/80cm tall. 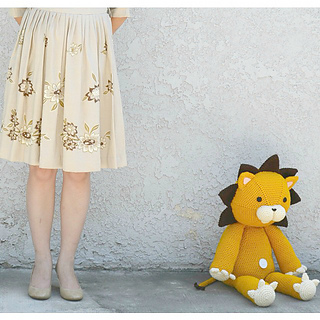 Sitting, the doll measures nearly 2 feet or 60cm tall. This very special lion’s features include an adorable looking face complete with a snout and a spiky mane. His limbs all have claws and also a cute button for well its belly button!